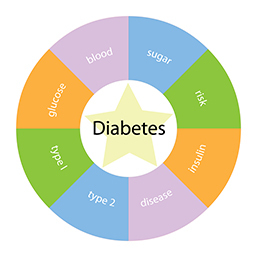 People with Diabetes have high blood glucose, also called high blood sugar or hyperglycemia. Diabetes develops when the body doesn’t make enough insulin or is not able to use insulin effectively, or both. 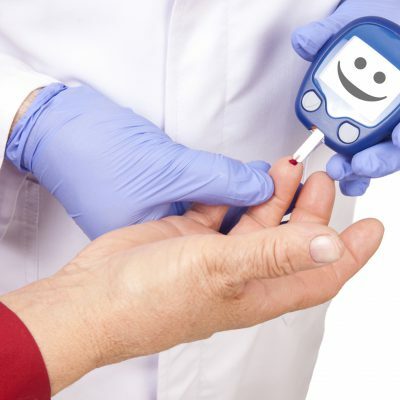 Diabetes type 1 a result of increased sugar level in blood. This raised presence of glucose (sugar level) in blood occurs due to inactivity or deficiency of ‘Insulin’ hormone. Insulin is extremely imperative for metabolism of glucose in the body. The Diabetes is a serious problem and if not treated have tendency to create critical complications. Diabetes Type 2 is a metabolic disorder which is predominantly featured by resistance of insulin, consecutively hyperglycemia and relative insulin deficiency. This occurs due to increased glucose level in blood. This is caused due to lack of or declined activity of Insulin hormone required for glucose metabolism.